A reminder to parents to complete the FACTS Grant and Aid application for the 2019-2020 school year as soon as possible. If you are wishing tuition support from your home parish, please meet with your priest or parish representative to discuss tuition assistance for 2019-2020. Parishes will request your verified FACTS Grant and Aid application which is the reason for completing it as soon as possible and uploading the necessary documents. Be sure to go online at https://yearbook.treering.com/createAccount/15484268279553442205 to purchase your copy of the 2018-2019 yearbook. Copies MUST be purchased by you through this link by Friday, April 19th, 2019. No copies will be available for purchase this year unless ordered through the website first. After this date, you may purchase yearbooks but they will be delivered directly to your home for an additional fee. OUR GALA AUCTION A NIGHT IN NAPA IS SATURDAY, APRIL 6th! This will expedite your registration when you arrive at The Vineyards. ONLINE BIDDING IS OPEN! GET A HEAD START BIDDING! Lenten Rice Bowls ~ Message from Mr. Ganse: Our Rice Bowl campaign will end on Friday, April 12. 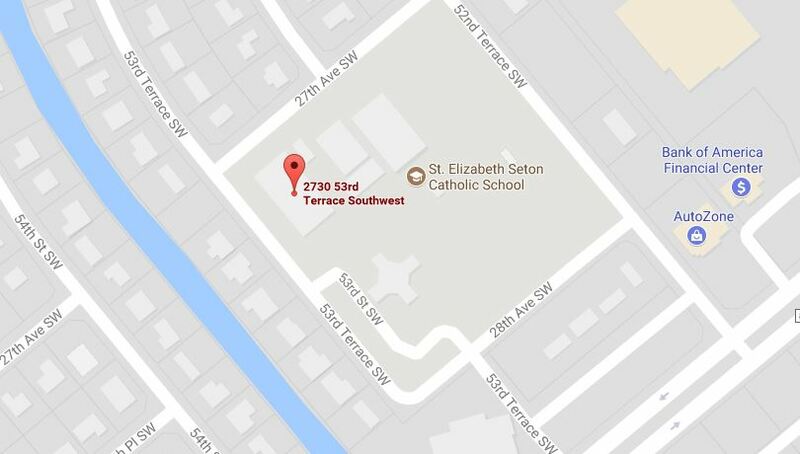 Please count all the money that your family has collected and write one check out to St. Elizabeth Seton Catholic School. Thank you for your generosity and participation in the Spirit of the Lord! 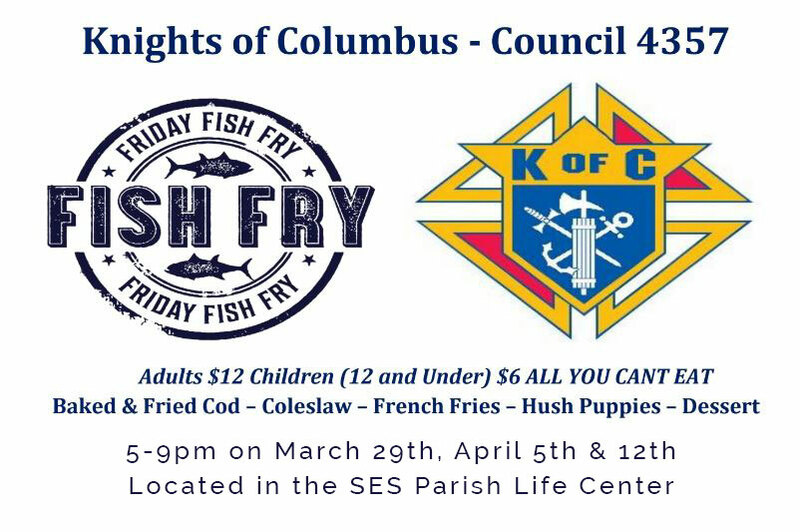 Please join our Knights on Fridays during Lent for a delicious fish fry dinner. 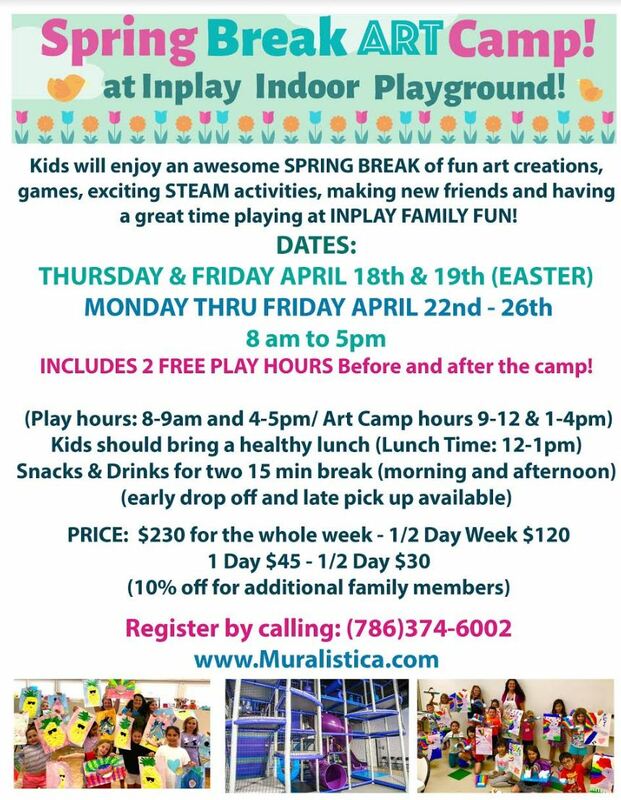 These will be from 5 to 9 p.m. and continue through April 12th in the PARISH CENTER. Calling all Seton Volunteers for the AR Fair on Friday, May 10th! 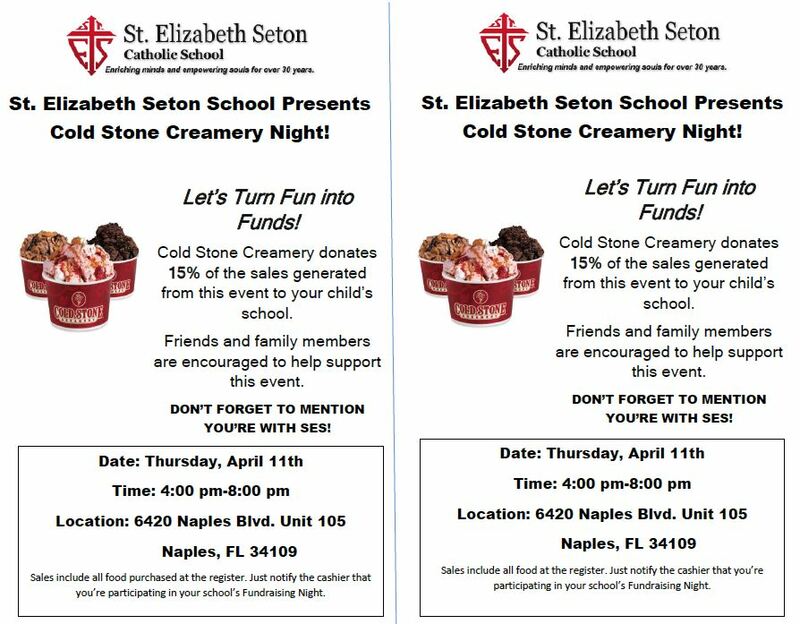 If you are an approved Seton volunteer and have time on this day to assist with the event, please email Charity Winter (winter@seseton.org). The event will take place from 9:00 a.m. – 2:30 p.m. Any time you can give to assist with this event is greatly appreciated! Donation items are also needed for the AR Fair. Donations are being accepted starting on Monday, April 8th – Monday May 6th. If you donate any of the following items below, please label with your family name so volunteer hours can be credited to your account. If you have any questions concerning AR Fair Donations, please contact Nichole Eastman (eastman@seseton.org). Thank you for your support! When you are feeling stressed, remember to STOP: Stop what you are doing. Take three deep breaths. Observe what you are thinking and feeling, and what is going on around you. Pause and regain composure.